I recently attended WorldCon, in San Antonio, where the Steampunk: The Present and The Future panel of Judith Shields, Elektra Hammond, Phil Foglio, and Takayuki Tatsumi, spoke about the growing presence of Steampunk in literature, the cinema and television. Elektra Hammond remarked that Steampunk is for those who like to read Steampunk ficiton, including the variety of cross-genres such as Steampunk/Romance, Steampunk/Zombies and Steampunk/Web Comics. It’s also for people who don’t like to read but do like to dress up. It also interest people who like to make things. There is something for everyone in Steampunk and no one is doing it wrong. 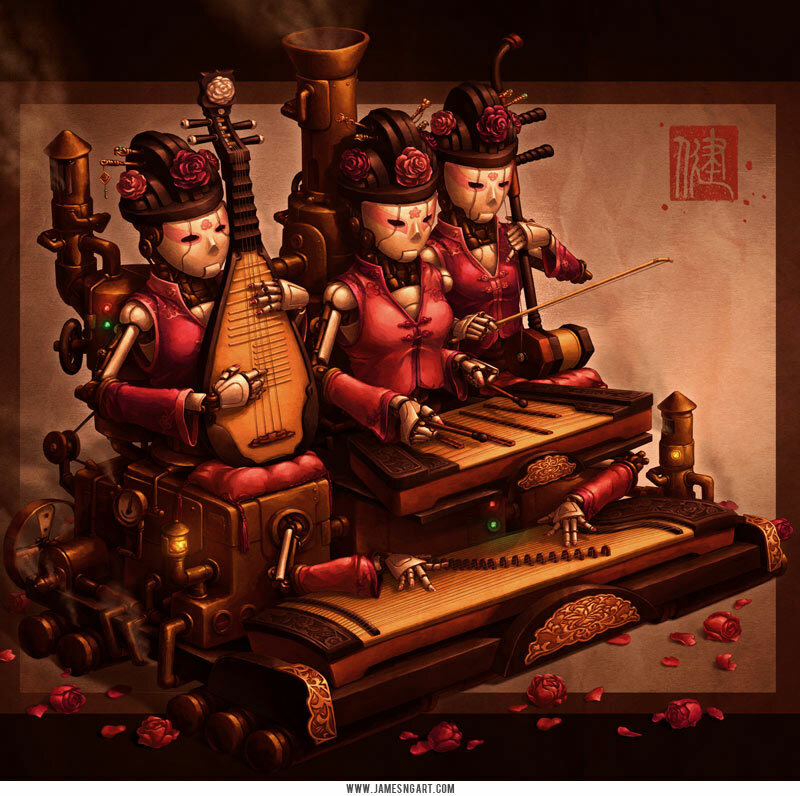 It was mentioned that as Steampunk grows in popularity everyone hopes the acceptance and openess of steampunk remains. The panel and audience also mentioned that individualism and optimism fueled the Victorian era and that kept going until the war hit. Then instead of making things one at a time and ornate, they needed a lot at one time and cheap. So steampunk brings us back to the individualism and optimism prevalent before the first world war. As for the hottest new things in Steampunk, a new genre, Zombie/Steampunk Westerns were brought up. 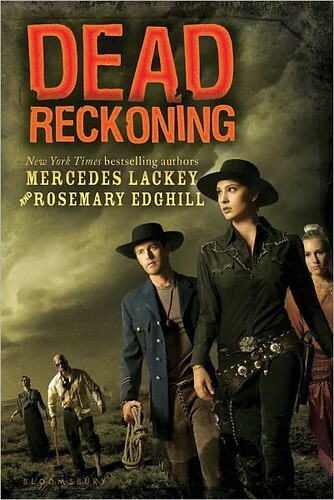 Dead Reckoning, a Young Adult book by Mercedes Lackey and Rosemay Edghill was recommended. Everyone loves Mercedes Lackey but also Rosemary Edghill has always been one of my top favorite authors. Her book, Met By Moonlight, is one of my favorite romance novels of all time. Jett is a girl disguised as a boy, living as a gambler in the old West as she searches for her long-lost brother. Honoria Gibbons is a smart, self-sufficient young woman who also happens to be a fabulous inventor. Both young women travel the prairie alone – until they are brought together by a zombie invasion! As Jett and Honoria investigate, they soon learn that these zombies aren’t rising from the dead of their own accord … but who would want an undead army? And why? As far as the latest in costuming and ideas, Judith Shields recommended Brass Goggles for the UN and Steampunk Empire for the US to get great information about what other Steampunkers are creating as far as costumes. While the panel members asked the audience if they had heard of what the next big thing in Steampunk would be – they mentioned things I’d recently blogged about on Steamed: Jim Butchers’ Steampunk series he’s working on, Westernpunk, and the Frankenstein’s Monster movie. 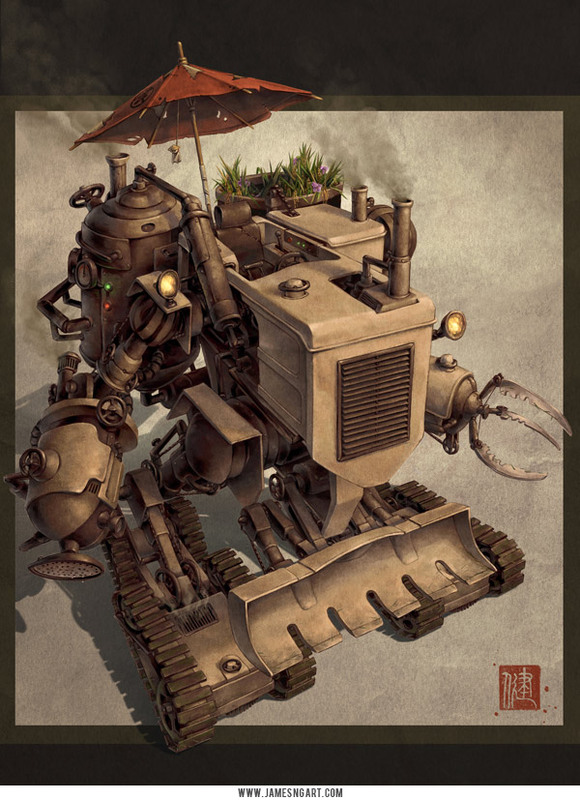 So if seems, if you want to keep up with Steampunk, Steamed is the place to be. And as far as the latest in books, dear readers keep in mind, Thursday is guest author day – where many authors tell us about their new and upcoming releases. Please comment below of what you think of or have heard of as being the next big thing in Steampunk. Maeve Alpin, who also write as Cornelia Amiri, is the author of 18 published romances. 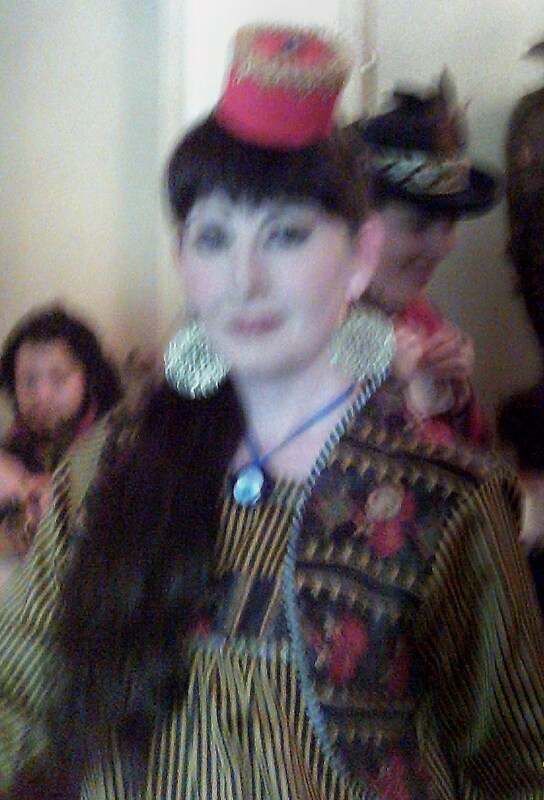 Her latest Steampunk/Romance is Conquistadors In Outer Space. She lives in Houston Texas with her son, granddaughter, and her cat, Severus. Jay Kristoff is an author, professional tall-scary person and is frequently mistaken for Dave Grohl in smoky, dimly lit pubs. His steampunk novel STORMDANCER sold at auction, and will be published in Spring 2012 through St Martin’s Press and Tor UK as the first part of a trilogy. He blogs here, and reduces the signal to noise ratio of the internet here. Presuming I’m surrounded by an audience who’s nerd-quotient is sitting comfortably above baseline, this is my reply to that dreaded question “So what’s your book about?” So when the lovely folks at Steamed agreed to let me loose on their readership, I proposed to write a post about the same topic, because honestly, I feel like the God of Clumsy Online Promotion murders a kitten every time I come out and overtly plug my novel. The origins of what we know as Steampunk lie in the fictions of the Victorian Age, and the minds of writers like HG Wells and Jules Verne. Awesome, Jay. Tell us something we don’t know. OK. So around the same time Verne was laying the foundations for SP, across the other side of the world in Japan, the Tokugawa Shogunate was closing up shop faster than your average Borders outlet. A country that had remained isolated from the west opened itself to foreign trade and influence (ie, control), resulting in a rapid industrial expansion. And while Japanese writers and artists remained heavily influenced by classicism and weren’t to climb aboard the SF/F train for decades, it’s not hard to imagine a world where the Scientific Romances of Verne and Co could’ve been coupled with a Japanese aesthetic. Certainly there’s anime that might be considered Steampunk: Last Exile, Nausicaa of the Valley of the Wind, Castle in the Sky, Steamboy, etc, but not many of these settings are even remotely Japanese, despite being penned by Japanese creators. And note that I’m not talking about so-called ‘Victorientalism’ (excellent essay about it here) or the Japanese annexation of Victorian fashion. I’m talking about telling poor Victoriana that we need to see other people, and seeding anachronistic technology into a historical setting that is distinctly Japanese. Clockwork samurai. Chainsaw katana. Sky-ships sailing across a rising sun – Steampunk in Japan. How would a traditionalist Shogunate evolve in a tech-heavy environment? How would philosophy and religion be impacted? How would the feudal caste system develop under a tech-empowered nobility? What would power the technology? What toll would it wreak on environment? And most importantly, would there be ninja, and exactly how much would they flip out? 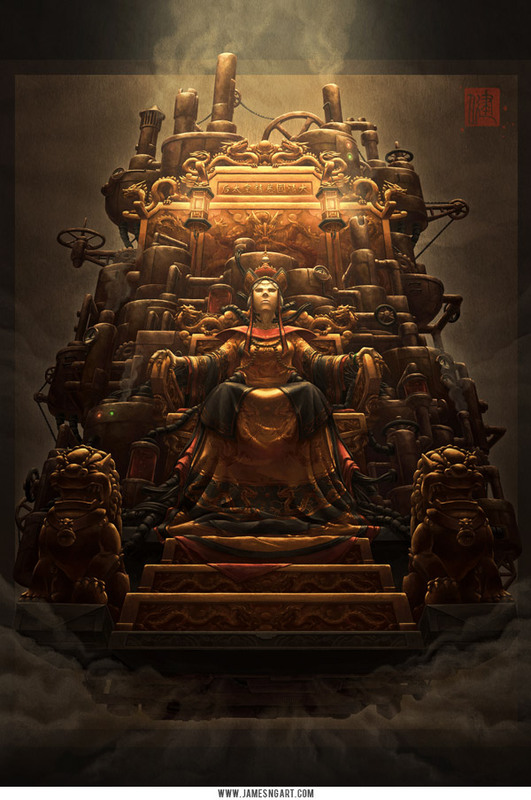 For some indication of where I ended up, check out the art of Greg Broadmore and the fabulously talented Mr James Ng, who’s ‘Imperial Steamworks’ series sums up the aesthetic of my novel exactly. Up to this point in its evolution, the vast bulk of Steampunk fiction is set in Victorian England or colonial America. But as artists, writers and creators, I feel it’s our duty to challenge tropes and expectations. Exploring the notion of Japanese SP coupled with traditional fantasy is enormously fun, and I hope as time goes on, more and more folks open themselves up to possibilities like it. Fiction should never be limited by geography – it’s only limit is our imagination. Six kittens were slain by the God of Clumsy Online Promotion during the making of this blog post.